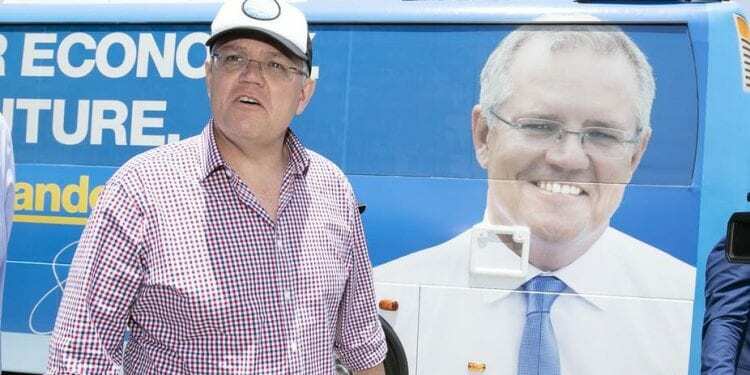 On the day independent Kerryn Phelps was officially declared the winner in Wentworth, a shot was fired across Scott Morrison’s bows to remind him of the challenge of managing a now-hung parliament. It came not from Phelps but from a longstanding crossbencher, the maverick Bob Katter, who holds the north Queensland seat of Kennedy. campaign journey through Queensland, making announcements as he goes? “Don’t think you have my vote,” Katter declared in the headline of Monday’s press release. He said he would “not rule out” voting to refer Chris Crewther, Liberal member for the Melbourne seat of Dunkley, to the High Court to determine whether section 44 of the constitution catches him. Dunkley is a marginal Liberal seat that becomes notionally marginal Labor at next year’s election, under the redistribution. Crewther situation was “a lot different” from that of Dutton. But the giveaway was Katter’s segue. “I’m not impressed with the government in their three months in office running around pork barrelling”. In particular, the government was not dealing with North Queensland issues, he said. Phelps earlier on Monday told the ABC she wanted to get more information on the Crewther and Dutton cases. On her own position Phelps, a doctor, said that she had “high level legal advice” that she didn’t have a problem in relation to Medicare, because the rebate went to the patient not the practice. to have the numbers for referrals. But a referral doesn’t mean the person has to resign while the case is on. followed by an adverse decision, it would not trigger a byelection. In any event, Sydney University constitutional expert Anne Twomey doubts Crewther has a problem. Twomey says that, on what we know, it appears Gretals Australia doesn’t have an agreement with the Commonwealth – any connection appears relatively remote. linkage grant, it is the University of Melbourne which has the agreement with the Commonwealth and receives the funding, not Gretals,” she says.